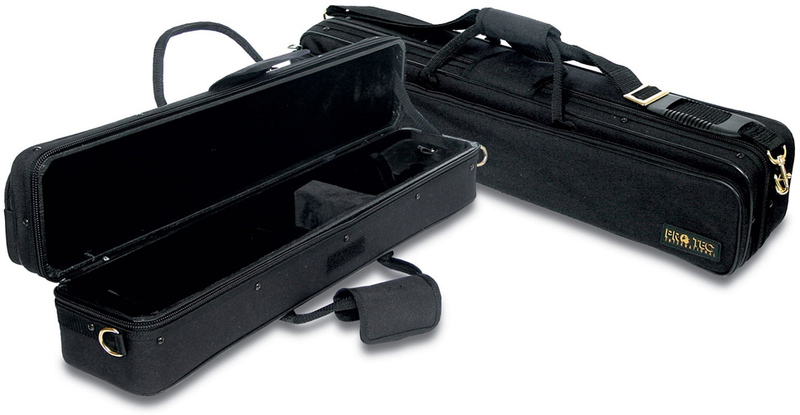 For over 25 years PRO TEC has been supplying Cases and bags designed by musicians for musicians. The Cases are sturdy, lightweight, and shock resistant. Hook and loop quick-lock closure. Lightweight shock absorbing frame. Soft nylon lined interior. 1680 gauge ballistic nylon exterior; water and abrasion resistant. Soft velvoa lining. Exterior pocket interior dimensions: 23 x 5 x 1.25"